Well, now that Patrick is back in the saddle and posting away, I guess I can turn in early. 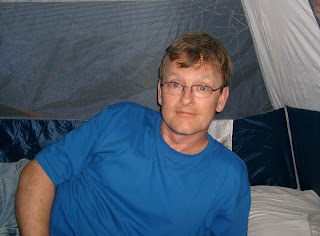 Actually this is a picture taken by my son during a recent backyard campout…one of only three campouts I’ve been on in my 49 years (the first was in an aunt’s suburban backyard, the second was on a baseball diamond in my native Jersey City…as an urban cub scout that counted as the great outdoors). Perhaps, one day, my son and I will set out on a real camping adventure (if the neighbors don’t mind us using their yard). I want to thank you all for your kind attention these past two weeks as I enjoyed an adventure in blogging courtesy of Patrick’s kind invitation to sub for him while he was away. It’s been a pleasure spending time with you. 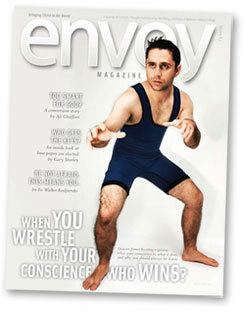 For those of you who are Envoy subscribers, I’ll see you next issue in my “Rocking the Cradle Catholic” department. For those of you who aren’t subscribers, I hope you’ll consider signing up. Envoy is a fun way to learn about our Catholic faith. 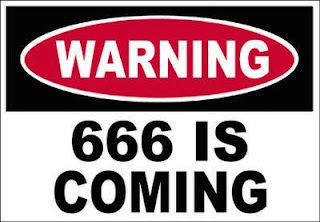 Did You Hear the One About How the Pope Will Be the Beast of Revelation? 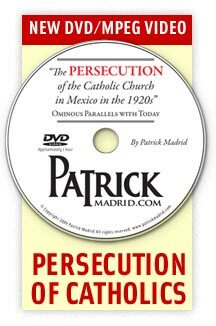 In this audio clip from my EWTN TV series, "Pope Fiction," I give you a basic overview of how to debunk this argument. NY State Says: "Get Vaccinated or Get Fired"
What do you suppose the reaction would have been to these kids playing overtly Christian tunes? 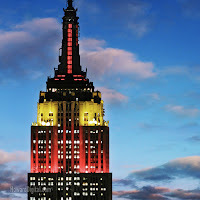 I just learned that this Wednesday, New York's Empire State Building will light up red and yellow to commemorate the 60th anniversary of COMMUNIST CHINA. Am I the only one seeing Red here? Dear Elliot . . . There's more in-depth information (and more pictures) regarding this catastrophic flooding at the Catholic Seeking blog. “It startled me. It seemed so out of place” was the comment of a patron of the new downtown Schnucks Grocery Store in St. Louis, Missouri. While driving to work this morning, my wife and I were listening to commentary KMOX Radio on this issue and then I went online to get the story from St. Louis Today Website. 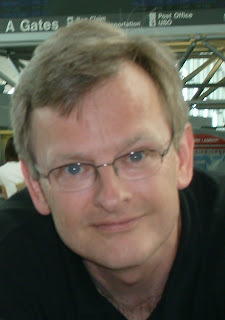 Basically the person who felt the Crucifix was ‘out of place’, (also was Jewish – I am in no means insinuating that all Jewish brothers and sisters feel this way) went out of their way to write a letter to their local Jewish Newspaper on this issue complaining about what many say is the ‘obvious symbol of not just Christianity, but Roman Catholicism, since the dying Corpus of Christ was placed on a Cross. 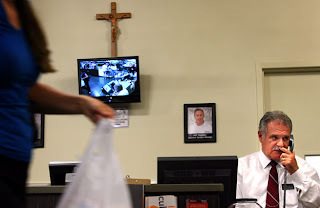 Obviously people are disapproving of this display of someone’s faith, Culinaria (Store) Manager Tom Collora, Jr., who is a parishioner at the Old Cathedral, located in downtown St. Louis, Missouri. "It's bad taste and bad business. Who wants to (shop) where someone else's faith is being pushed down your throat?" were the comments from an Atheist who lives next to the store. Personally, if this Atheist was so loyal to his cause, then he should not be using United States Currency, which displays this Country’s Faith… but this is not the point in my opinion. What Mr. Collora has done, is answer the call of the New Evangelization, specifically the Mandate of Christ to ‘Go an make disciples’ by sharing our Faith; by sharing the Salvific Message of the Corpus of the Messiah on the Cross, which is not a sign of exclusion, but the opposite; this is the Glorious Sign of Inclusion into the Body (all pun intended) of Christ, who was ‘lifted up’, suffered, died and rose three days later in Triumph over death. It’s been something of an odd twenty-four hours, at Chez Moore. My brother-in-law, his wife and two kids arrived for a visit yesterday and promptly took ill.
Before you get the wrong idea, I do not normally have this effect on my in-laws. My nephew was sick the day before they arrived but had, quote, “a miraculous recovery,” inspiring enough parental confidence to make the trip. Last night went well, as did this morning…but as the day progressed, things changed. At this writing, my niece is in bed doing her best impression of a damp rag, my brother-in-law has requested a stool and sequestered himself in a bathroom, my sister-in-law is stumbling about weakly as her strength seeps back, and my little nephew is happy as a clam, oblivious to the fact that he has inoculated those who love him most with something icky. I suppose my son can look forward to a day off from school sometime this week, courtesy of his cousins—albeit an uncomfortable one. Let’s just hope it doesn’t hit him and my wife on the same day. If it hits ME, well…I’ll probably be quite a crybaby about it, giving my wife those annoying glances that say, MY family never brings a pox upon our house. But of course, God always brings greater good out of bad situations. Sitting here tonight, we watched one of my nephews favorite DVDs, featuring The Wiggles—one of the most welcome contributions of all time to the world of children’s entertainment. That DVD took me back to many wonderful hours of hanging out with my son back in the day, enjoying The Wiggles on video, playing their songs for him on my guitar, singing along with their recordings in the car, and even catching them live from first row seats. We even waited for them like groupies near their tour bus to meet them after the show. For the record, they are VERY nice guys. One of the most impressive things about our pre-school days as a Wiggles family was a video called “Wiggly, Wiggly Christmas,” which contains a song called “Unto Us this Holy Night.” It’s a great song and was accompanied by a traditional Nativity pageant. That’s right…in this world of watered down “holiday” celebrations, The Wiggles came from Australia to remind America that Christmas is at heart, a birthday party for a baby named Jesus. A brief look on the web will tell you that at least one of The Wiggles is a devout Catholic, which makes me happy. Whether any of the others are or not, they have not only stood up for The Birthday Boy, but they have done marvelous things for children…and for parents who have had the pleasure of joining their kids in a wonderful, wiggly, relationship-deepening experience. When my wife and I first met, she was in the wine business. No stranger to the finer things in life, myself, I took her to an Irish restaurant and bar on Third Avenue in New York on our first date—a place that boasted a selection of no fewer than seven wines. I’ll never forget being handed the wine list that night. Short thought it was it might as well have been written in Aramaic. Never before had I navigated a selection of wines in the presence of a woman who knew wine. The only thing I was confident about was that my standard routine of thoughtfully examining the cork and pretending to know what that first dribble out of the bottle was supposed to take like was NOT going to fly. After several very long seconds, I turned the choice over to Mary Ann and had a dating experience most men only dream about having. She saved me money! Declaring every selection wildly over-priced, she suggested that we forget about ordering wine. Now, don’t take that story to mean that every wine with a reasonable price is worth drinking. There is such a thing as too cheap to possibly be any good. For various unpleasant reasons, I once spent a lot of time consuming large amounts of a particular jug wine. I had long since put it aside when Mary Ann came along, but the damage had been done—not to my liver but to my tongue. I couldn’t have told you the difference between a cab and a Tab. I shiver at the sight of those jugs nowadays. In fact, I shivered that very shiver in the sacristy of my parish church recently while preparing to serve as lector for Mass. There it sat, that familiar old jug, its noxious contents having been poured out for use at Mass. What about truth in advertising? I thought. About the closest that stuff comes to being the work of human hands is when somebody puts it on the shelf at a liquor store. I was so appalled that I couldn’t get the thought out of my mind as Communion approached. How could I possibly receive properly when I was certain to wince while drinking from the chalice? And what about poor Jesus? I only had to drink the stuff. He had to transubstantiate it. Nice way to treat our savior. Eventually, I approached the altar, took the chalice and drank. The reality of what I was doing struck me at the same time and I didn’t wince. I experienced an unexpected sweetness and turned back toward my pew, startled. It was like Cana all over again. As is his habit, God had done something great with something lowly. At the moment of consecration that wine was turned from something graceless into something full of grace. Its not-so-subtle flavor was still there—but it was eclipsed by the sweet sacrifice of the Eucharist. Changing that wine into himself was an incredible act of humility for our Lord. Of course, changing a bottle of even the finest wine into himself is every bit as humble. I only wish I could have been within a light year of such humility that day. My gripe, of course, had more to do with my past failings than with the quality of the wine. But instead of shoving my insignificant personal meanderings aside to bask in the glimpse of heaven that Holy Communion offers, I chose to indulge myself in a pointless riff on cheap wine. But hey, what’s the point of being a cradle Catholic if you can’t act like you belong in a cradle once in awhile? Did you know that there’s a Catholic rapper? I didn’t know that there’s a Catholic rapper, but apparently he's a very nice guy, and he needs our prayers. That got me wondering what other uniquely Catholic entertainers there are out there—specifically comics (as an alleged writer of humor, it's a subject that interests me). My search led me to a comedian named Jim Brogan and a comedienne named Sally Edwards. As my search continued, the ladies took the comedy lead as Judy McDonald was added to the list. But then I remembered that my friend, Patrick Coffin (host of Catholic Answers Live) recently interviewed a guy named Carl Koslowski. I'll leave comedian/comedienne count at 2-and-2. Perhaps you know of more? It's that time of the week when I sit around waiting for two things: 1) to leave for my late-night adoration hour, 2) for some coffee to brew so I can keep myself by from having a Matthew 26:40 experience during my late-night adoration hour. If you can't guess what that passage Matthew 26:40 is, you'll have to look it up yourself. I want to tell you about some beautiful noises and beautiful silences. The first noise came from a young couple sitting behind my family at a recent Mass. They appeared to be dating—a deduction based solely on the manner in which I had seen them walking toward the church just before Mass. It was one of those glance-at-each-other, where-in-the-world-do-I-put-my-hands walks that makes even veteran adults look like shy teenagers. I doubt either of them cared much about reaching a destination, but at Mass they arrived, still enjoying each other's company but forced to join the rest of the world for awhile. As the first hymn began, they lifted their hymnals and joined in. The girl sang pleasantly, but the guy was at least three pews away from the melody (in musical terms, that's about two more pews away than Neil Young is on any given occasion). But listening to the guy was beautiful. He didn't care what he sounded like. He just wanted to sing. And let me tell you (attention, gentlemen), the lady friend in this equation smiled sweetly on him throughout the proceedings, as they hunted for hymnal pages together. She obviously loved singing in church and appreciated the effort he was making. Now, maybe this fellow was just using his hymnal as a ploy to get on his lady fair’s good side. To that I say, "Good for him!" Many people have been brought to Christ by the beauty of creation. And if memory serves, this young lady was quite a credit to creation. He wouldn’t be the first man drawn to Mass out of his passion for a desirable woman, only to discover a passionate faith he never thought possible. If the way to a man's heart is trough his stomach, then maybe the way to his soul is through his heart. The second noise I want to tell you about started out funny before it became beautiful. At Communion one Sunday, our organist launched us all into a spiritual. Few things are funnier than a church full of white suburbanites making their way through a black hymn, but we actually did ourselves fairly proud (even if we did sound a little like the Pat Boone Chorale singing the Mahalia Jackson Songbook). And the noise was beautiful. There was sincere worship going on during that hymn—in no small part because spirituals are so wonderfully singable. Now, for the beautiful silences. The first one happened on All Saints Day at a church near my office, when the celebrant miscalculated the length of his chasuble and knocked over a full chalice while raising his hands. His reaction was great. Judging by the face he made, and the way he clenched the offending hand into a fist, I think he was desperately trying to avoid slipping a few decidedly un-liturgical words into the Mass. Father recovered just fine, but not before a far more interesting recovery happened among the pews. When that chalice fell, there was a gasp in every corner of the church, followed by a few seconds of very telling silence. As held breaths were released, you could just about hear the collective thought, "Thank God, it was still only wine when it fell." I'm sure I could have found people to disagree with me on any number of things Catholic in that church, but the thought of the Real Presence spilling wasted onto the altar registered as universally terrible to a diverse gathering of sins ad daughters of the universal church. You know what else is nice? The silence I was enjoying while contemplating all of these occurrences recently...in the presence of Our Lord during Eucharistic adoration. It's the most beautiful silence you'll ever hear. Go there soon. Bring all of your own random experiences and ask the Lord to make sense of them, to show you himself in them. You'll be surprised how many spiritually significant things happen during what seems like very, very ordinary time. Year of the Priest sees "Vocation BOOM!" "Founded by Jerry Usher, creator and former host of Catholic Answers live, Vocation Boom is intent on creating a culture that’s open to the priesthood, clearing the path to discovery, and unlocking minds and hearts to God’s special call. Made up of a group of passionate advocates dedicated to supporting the priesthood as a life’s vocation and mission, Vocation Boom is a global support community. It's a place where youth and young men can find answers, encouragement, mentors and friends to aid in the discernment process and beyond. Vocation Directors, priests, and educators will also find an online community that provides the tools they need to cultivate those called to priestly life. Candidates can determine their specific path – diocesan or religious priesthood and, within religious priesthood, to which charism they are best suited. Even family and friends of men with a calling can find the resources that they need to support their loved ones’ choice to become a priest. 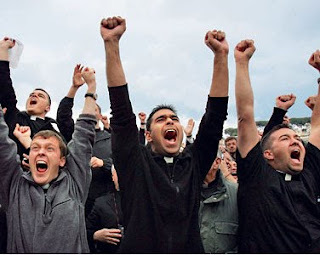 VOCATIONBOOM.COM is dedicated to fostering a positive perception of the priesthood and culture of priestly vocations. In this “Year for Priests,” the theme is, the priesthood is the love of the heart of Jesus. But the Holy Father himself has quoted the wisdom of St. John Vianney, patron saint of priests, saying, “The great misfortune for us parish priests is that our souls grow tepid.” VOCATIONBOOM.com is a new source of inspiration for this spiritual numbness as it simultaneously helps young men answer the call and let their voices be heard. Log on to discover the first step in a leap of faith! Show your support of the priesthood by becoming a member today, www.vocationboom.com!" A tip of the cap to Jerry and his latest new media initiative. The BOOM has begun! Did you hear the one about two “nones” walking into a bar? Trinity College of Hartford, Connecticut, is out with a new study of “Nones” in America. Nones are adults with no religious affiliation. Apparently most of them, at least in America, are young, politically independent men of…and it hurts to type this…Irish ancestry. In my youth, “Irish” and “Catholic” rarely appeared more than two or three words from each other. It makes me sad to think that so many American families of Irish descent have managed to so completely screw up their catechetical responsibilities. I realize the less-than-charitable tone I’m taking. 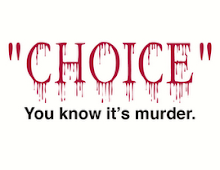 There are other factors in play, such as so-called “progressive” elementary education, the inexplicably un-Catholic teachings of supposedly Catholic colleges, and a little thing called "free will." But I still feel that stronger, sincere parent-champions for the faith, especially among fathers, could help stem the tide that leads one professor associated with the study to say that Nones could make up 25% of the U.S. population in about twenty years. Perhaps the Irish-ness of so many Nones shouldn’t surprise us. There’s an interesting story that continues to unfold in the land of saints and scholars that points to the legendary Irish propensity for paradox. I’m not familiar enough with the story to offer an opinion, but I find the situation interesting. You can read the latest and find links to the broader story here. I heard something wonderful yesterday. A regular reader of this blog responded to one of my posts thinking it was from Patrick, so I thought I'd take a moment to remind everyone that the proprietor of this blog is on vacation for a couple of weeks. I don't want my old friend saddled with the blame for my banalities. I'm sure Patrick wouldn't subject you to his exploits in landscaping. Hmmm. Actually, he probably would. The only responsibility Mr. Madrid can be saddled with in connection with my musings lies in having asked me to be one of his guest bloggers while he's away. I am the proprietor of Envoy's "Rocking the Cradle Catholic" department, which means I can type 600 or so words fairly quickly (probably no small part of the reason for Patrick's invitation). None of that is the wonderful stuff mentioned above. Let's get to that now. This blogging thing is hard work, so I'm very thankful to Father Riley (a new young priest at our parish) for his homily yesterday. It was a particularly great Mass all around. My wife and I were the lectors, something we love doing together. Mary Ann got to read from the Book of Wisdom, which addressed a subject she is currently reading about in her Master's program. I had the pleasure of reading from The Letter of St. James (my affection for which I mentioned in a previous post). Father Riley then proclaimed Mark's gospel account of the Apostle's argument over who was the greatest. Father followed up with a wonderful homily that weaved the messages of all three readings into a clear and concise observation on the individual's duty to serve. But that's not the best part. After stepping away from the ambo, he turned back to address a different subject. He then proceeded to talk about the sinfulness of leaving Mass early, directing his remarks to all but specifically mentioning parents and grandparents; he reminded them that leaving early is a sin and that by bringing children out of Mass early with them, they are leading those beloved children into sin as well. He went on to suggest that if we cannot spare an extra ten minutes after Communion, our priorities may be highly disordered. It sounds simple, but I know it took incredible courage...especially since he was speaking during the noon Mass on the day of our local NFL home opener. We made sure to speak with Father afterward and give him an atta-boy, along with our thanks for making such an important point. And this--after all that--is the basic point I'd like to make today: it's important for all of us to notice and acknowledge even the seemingly small acts of herosim on the part of our priests. They have already, in a very real way, given their lives for us. The least we can do is say thanks. I'm sure I've failed to notice hundreds of such acts over the years. My prayer for all of us today is that we will be better attuned to the words and deeds of our priests, and take a few extra minutes to say thanks for caring. It is a time for rejoicing! Nine days ago, we received an over-estimated load of topsoil that forced my wife to dig a pathway in order to get out of the garage to pick up our son from school. After a full weekend, several evenings, one vacation day, and all day today--I am please to report that our enormous pile of topsoil is no longer a driveway ornament! Hmmm. Nine days. Sort of a manual labor novena. I guess I'm taking the long way around telling you that in terms of today's blog entry...I got nothin'. But sitting here thinking about what to share with you reminds me of a column about writing by one of my favorite ink-stained newspapermen--Paul Greenberg. I knew I liked Hector Molina…and we’ve never even met. In his introductory post, he mentioned two of my favorite places—New York and St. Louis. Hector is a native New Yorker who eventually moved to the Midwest. I grew up near the New Jersey mouth of the Holland Tunnel and eventually moved to the Midwest. Hector now lives in St. Louis. I now bring my family on pilgrimages to St. Louis to stock up on Italian fare. Hector lives and breathes the faith every day both personally and professionally. I…don’t. As it says in Envoy, I'm a practicing Catholic who still isn't very good at it but continues to practice every day. Okay, so the similarities aren't as spooky as they first seemed. But reading about Hector's east coast roots reminded me of an Envoy piece I wrote back in the twentieth century. Thought I’d share it with you (especially since the parish festival I went to tonight didn't yield anything fun to write about as I had hoped it would)…. My wife and I shared a unique liturgical experience, one Saturday afternoon. We went to Mass at the mall. There’s a Carmelite Chapel on the Lower Promenade (basement level) of one of the many malls which serve as landscape in our corner of America. One of an estimated dozen or so Catholic mall chapels in the United States, it has been serving consumers’ souls since 1970. A quirky place, it sports electric stained-glass windows inside, and video in the hall for those who can’t get a seat in the often standing-room-only main room. I assumed people’s reasons for attending that Saturday afternoon Sunday obligation Mass varied widely. For instance, weekend logistics kept Mary Ann and me from getting to our home parish that week. I figured others probably enjoyed the intimacy of the small venue, or the anonymity of worshipping at a crossroads of humanity. My wife, a native of mall country, assured me that the chapel’s main draw has always been brevity. 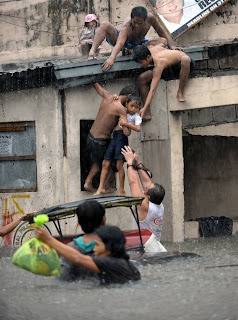 This had to be among the fastest Sunday obligation Masses ever said in a non-communist country. Barely 30 minutes from start to finish, including 10 minutes of homily, a substantial Communion crowd and a post-Communion “Hail Holy Queen” for various intentions including the conversion of Russia. You should be able to get through checkout on the Upper Promenade (parking level), as fast as we got through that Mass. I had skid marks from blessing myself too fast. Mary Ann told me the mall chapel once had a Saturday afternoon priest who got your duty done in 20 minutes flat, homily included. Mind you, that mall chapel is an important place. The priests hear as many as 1000 confessions a month. Their monthly Communion rail can stretch some 1600 tongues long. And, to be fair, those 20-minute liturgies keep my wife going to Mass through an extended season of twentysomething doubt. Our celebrant that Saturday was a big, jovial priest from Ireland. He was helping out at the chapel during his vacation. This guy led us through the Mass so fast I could have sworn he was praying in tongues half the time. If we’d paused to take a breath during the Creed we wouldn’t have caught up until Communion. He slowed down exactly three times. Twice for singing: the Gospel Acclamation and the Great Amen. Good set of pipes, too. Probably still trying to prove to his mother he hadn’t wasted his time listening to all those John McCormack records. He also downshifted for a wonderful, insightful homily. Those 10 minutes lost him his shot at the gold-plated brevity breviary I hear the chapel management bestows on its quickest consecraters. Homily aside, I came away from that Mass winded, cranky and tempted to declare the celebrant disrespectful of the Holy Sacrifice. But, after a careful look into the mirror of the mall, I no longer believed he was. His style made him the perfect man for the job to be done that afternoon - the job of saying Mass in a sad vernacular. He spoke the language of people who want what they want, where they want it, as quickly as they can get it. It’s a familiar tongue to those of us who sometimes allow weekend logistics to disturb our Sunday worship. Mind you, that mall chapel is an important place. Any conspicuous consumer, seeing the conspicuous words “Carmelite Chapel” on the directory to that very public square, can always find a willing missionary on hand. The priests who service the chapel hear as many as 1000 confessions a month. Their monthly Communion rail can stretch some 1600 tongues long. And, to be fair, those 20-minute liturgies my wife remembers kept her going to Mass through an extended season of twentysomething doubt. Neither of us, however, is in doubt today. While we hope the chapel stands longer than the mall, piggybacking on the convenience offered by its ministry strikes us as plain wrong. We’ve never been back, but took a lesson away with us: making it known to people that Mass is at the top of your Sunday social calendar is a powerful means of evangelization. Oh, and I’m afraid the answer is, “Yes.” We did use the occasion of Mass at the mall to return a few things. To piggy back on Jim's post regarding Penn and Teller's most recent attack on Catholicism, I heard on the Radio this morning that there is a bit of controversy brewing at the N.Y. Metropolitan Opera House. 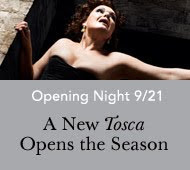 On the Laura Ingraham Show, Raymond Arroyo reported that the Met's new season opener, Puccini's Tosca, features a very disturbing scene. At the end one of the acts, the baritone who plays Baron Scarpia apparently simulates the sexual act with a statue of the Virgin Mary. When the curtain rises again, he is found caressing the statue. You know as well as I that we would never see this type a scene perpetrated with a statue of Mohammad. But, as usual, we Christians are fair game. Most glorious Virgin Mary, Mother of God and our Mother, turn thine eyes in pity upon us, miserable sinners; we are sore afflicted by the many evils tat surround us in this life, but especially do we feel our hearts break within us upon hearing the dreadful insults and blasphemies uttered against thee, O Virgin Immaculate. O how these impious sayings offend the infinite Majesty of God and of His only-begotten Son, Jesus Christ! How they provoke His indignation and give us cause to fear the terrible effects of His vengeance! Would that the sacrifice of our lives might avail to put an end to such outrages and blasphemies; were it so, how gladly we should make it, for we desire, O most holy Mother, to love thee and to honor thee with all our hearts, since this is the will of God. And just because we love thee, we will do all that is in our power to make thee honored and loved by all men. In the meantime do thou, our merciful Mother, the supreme comforter of the afflicted, accept this our act of reparation which we offer thee for ourselves and for all our families, as well as for all who impiously blaspheme thee, not knowing what they say. Do thou obtain for them from Almighty God the grace of conversion, and thus render more manifest and more glorious thy kindness, thy power and thy great mercy. May they join with us in proclaiming thee blessed among women, the Immaculate Virgin and most compassionate Mother of God. Amen. Greetings fellow fanaticos of Maestro Madrid! My name is Hector Molina. I'll be joining Jim Moore in filling in for our Blogger in Chief during his absence. For the throngs who are unfamiliar with me, I am a full-time Catholic Speaker and Evangelist who writes from St. Louis, MO. Patrick was kind enough to do a profile on me in Envoy a few issues ago (making it a collectors item for sure). I am a happily married, sleep deprived father of three. And in the interest of full disclosure, I am a native New Yorker. However, you will not be able to detect my accent on these pages, so fuggettaboudit! Thanks to everybody who took a minute to brag on a special priest, yesterday. While I'm thinking about which of my fatherly influences to tell you about, I'd like to put the spotlight on another father figure who means a lot to me...that recent epistolary contributor to the current cycle of Mass readings, St. James. The writings of St. James make me very happy that my parents named me according to the tradition of a good old saint name. I rarely think of myself as "James" but it’s a pedigree that shouldn't be neglected. A word of caution to anybody who starts paying closer attention to the wisdom of his or her saintly namesake: Get ready to feel woefully inadequate. I can’t get through the first chapter of James without self-esteem problems. And my Irish ancestors became Catholic how? No self-deception? Sheesh! What a grouch! James 1:27, "…keep oneself unstained by the world . . . ."
Personally, I can't even keep myself unstained by lunch. You could spend a lifetime just trying to live up to a single sentence in that first chapter. But there's always chapter two. Right? Okay…maybe not. But what about chapter three? “Mist,” he says…we don’t even get to be dust like on Ash Wednesday. Fortunately, Mist Wednesday would never catch on. Priests and extraordinary ministers lining up with atomizers full of holy water would just look silly. Another truly great thing about James comes at the end. After raising the bar hopelessly higher and higher for five chapters, he offers a word of encouragement to those of us who hope people will learn the truth of Catholicism, and learn it somehow through us. There’s a lot to be learned from St. James. And his letter may never caught my ear in quite the same way had my parents not given me his name. Thanks Mom and Dad. May you be with Jesus this day. My favorite line is, " . . . trapped inside the Clintonized area." Every so often, I get the chance to enjoy some R&R, away from the hurly burly of daily life. Over the next two weeks, I'll be taking something of a vacation and will not be as able to post to this blog, Facebook, Twitter, etc. For some of you who frequent this blog, that may come as good news! But for those who have made this place a regular stop on your daily rounds of the blogward, I don't wan't to leave you panting with unrequited need for your daily dose of what I dispense here (theology, apologetics, humor, social commentary, etc.). So . . .I've invited two long-time friends of mine to pick pick up the slack as guest bloggers here for the next two weeks. Say hello to my leeetle friends: Héctor Molina and Jim Moore. I won't try to do any more of an introduction beyond saying how much I like and respect them both and how confident I am that you will enjoy their offerings here. Please say a prayer for me, especially for safe travel in my comings and goings while on vacation. Thanks, and hasta la vista. Let's brag about our priests! Good morning, fellow Pat Madrid fans! I'm Jim Moore--the "Rocking the Cradle Catholic" guy from Envoy magazine. Pat has done me the honor of inviting me to be one of his guest bloggers while he's away. I'd like to get a sharing/conversation session going today in the wake of the most recent anti-Catholic bigotry foisted upon the American television audience by an alleged comedian whose name sounds like a brand of razor. We're not going to talk about that tirade, but what I'd like us all to share--in this year dedicated to priests--are stories and ancedotes about the priests who have had a positive impact on our lives. I'll sign back on this evening to catch up on the chat and share my own experiences. I'd do that now, but my day is starting early and I've got to it the road. What do you make of this unusual cloud I saw today? Today, at about 4:45 p.m. ET, while on my daily 5-mile walk, I had just finished praying the Prayer to St. Michael the Archangel at the conclusion of praying the sorrowful mysteries of the rosary. I tucked my rosary into my pocket, wiped the sweat from my brow, and I looked up to the heavens. This is what I saw in the sky above me . . .
Perhaps some who've been defending the moral propriety of torture in the comments section of one of my recent posts about the subject might think so. Hard to say. What do you think? 2. Thanks for letting me use the bathroom when I was working in your yard last week. While I was in there, I unlatched the back window to make my return a little easier. 3. Love the flowers — they tell me you have taste, and taste means there are nice things inside. Those yard toys your kids leave out always make me wonder what type of gaming system they have. 4. I really do look for newspapers piled up on the driveway. And I might leave a pizza flyer in your front door to see how long it takes you to remove it. 5. If it snows while you’re out of town, get a neighbor to create car and foot tracks into the house. 6. If decorative glass is part of your front entrance, don’t let your alarm company install the control pad where I can see if it’s set. 7. A good security company alarms the window over the sink. And the windows on the second floor, which often access the master bedroom. It’s not a bad idea to put motion detectors up there too. 8. It’s raining, you’re fumbling with your umbrella, and you forget to lock your door — understandable. But I don’t take a day off because of bad weather. 9. I always knock first. If you answer, I’ll ask for directions somewhere or offer to clean your gutters — don’t take me up on it. 10. I always check dresser drawers, the bedside table, and the medicine cabinet. 11. However, I almost never go into kids’ rooms. 12. I won’t have enough time to break into that safe where you keep your valuables. But if it’s not bolted down, I’ll take it with me. 13. A loud TV or radio can be a better deterrent than the best alarm system. You can also buy a $35 device that works on a timer and simulates the flickering glow of a television. Manassas, Va.—Today The Cardinal Newman Society published a new, second edition of The Newman Guide to Choosing a Catholic College, a unique resource for parents and students seeking a faithful Catholic education. This comprehensive Guide recommends 21 colleges and universities in the United States plus eight international, online and unique programs based on the strength of their Catholic identity. In addition, the Guide includes several essays to help families better understand the search for a strong Catholic college. The culmination of four years of research and hundreds of interviews, this edition of The Newman Guide builds substantially on the successful first edition which was published on All Saints Day in 2007. All told more than 8,000 copies of that edition were distributed to Catholic leaders and families. “When we published the original Newman Guide in 2007 we did not know what to expect, but we found that families were eagerly searching for help in identifying Catholic colleges that truly embrace their Catholic mission in all facets of campus life,” said Patrick J. Reilly, President of The Cardinal Newman Society and one of the editors of the second edition of the Guide. “The mission of The Cardinal Newman Society is to help renew Catholic higher education, and we can think of no better way to do that than by offering this edition of The Newman Guide as a book but also as a free online resource. We are doing this so that as many Catholic families as possible are able to learn about the quality academics and faithful campus life available at the recommended colleges,” said Reilly. Every college or program recommended in the Guide includes a complete profile that examines academics, governance, spiritual life, student activities, and residence life. New additions to this edition’s profiles are a letter to families from each college president as well as information on financial aid packages. The online version of the college profiles include additional campus pictures and videos, open house and other event details, as well as a form to request admissions or financial aid information directly from the college. § Aquinas College, Nashville, Tenn.
§ Ave Maria University, Ave Maria, Fla.
§ Belmont Abbey College, Belmont, N.C.
§ Benedictine College, Atchison, Kan.
§ The Catholic University of America, Washington, D.C.
§ Christendom College, Front Royal, Va.
§ The College of Saint Thomas More, Fort Worth, Tex. § DeSales University, Center Valley, Pa.
§ Franciscan University of Steubenville, Steubenville, Oh. § Holy Apostles College & Seminary, Cromwell, Conn.
§ John Paul the Great Catholic University, San Diego, Calif.
§ Magdalen College, Warner, N.H.
§ Mount St. Mary’s University, Emmitsburg, Md. § Providence College, Providence, R.I.
§ St. Gregory’s University, Shawnee, Okla.
§ Southern Catholic College, Dawsonville, Ga.
§ Thomas Aquinas College, Santa Paula, Calif.
§ The Thomas More College of Liberal Arts, Merrimack, N.H.
§ University of Dallas, Irving, Tex. § University of St. Thomas, Houston, Tex. § Wyoming Catholic College, Lander, Wyo. A new section in this edition of The Newman Guide recommends international, online and unique Catholic colleges and programs to help provide options to families looking for non-traditional ways to obtain a faithful Catholic education. § Our Lady of Corpus Christi, Corpus Christi, Tex. In addition to the recommended college profiles, The Newman Guide includes several essays to help families put the search for a Catholic college in context. A study of the first edition’s recommended colleges by The Center for the Study of Catholic Higher Education found that these institutions were not just faithful to their Catholic missions, but were generally also more affordable than other Catholic and private colleges and universities. That study is available online at CatholicHigherEd.org. “If last spring’s Notre Dame scandal highlighted that there is still a long way to go to renew Catholic higher education, the colleges recommended in The Newman Guide are a prime example of how it is possible to have a quality academic program while remaining strongly Catholic,” said Tom Mead, executive vice president of The Cardinal Newman Society and one of The Newman Guide’s editors. The complete Newman Guide to Choosing a Catholic College is available at TheNewmanGuide.com. Founded in 1993, The Cardinal Newman Society is dedicated to renewing and strengthening Catholic identity at Catholic colleges and universities. The Society focuses its work on assisting students, school officials and alumni; urging fidelity to the Magisterium of the Catholic Church; and researching activities both on campus and in the classroom. The Society is a 501(c)(3) tax-exempt, nonprofit organization supported by more than 20,000 individuals. More than 367,000 individuals signed its 2009 petition concerning the Notre Dame commencement scandal. In addition to publishing The Newman Guide, the Society houses The Center for the Study of Catholic Higher Education which provides research and analysis on strengthening Catholic higher education. The Society promotes Catholic values on life and sexual ethics on campuses through its Love & Responsibility Program and also operates a Campus Speaker Monitoring Project to support the guidelines the U.S. bishops have established to prohibit Catholic institutions from giving opponents of Catholic teachings honors or platforms for their views. Additionally, the Society promotes Eucharistic Adoration and is the national coordinator for the display of the Vatican’s International Exposition The Eucharistic Miracles of the World on college campuses.